I never thought I'd come across a dystopian I wouldn't like. Possession taught me in the worst possible way that there's a first time for everything. From the first pages of Possession I knew that something was horribly wrong. I was thrown into this futuristic, high tech world that I had no idea how it worked. How it came to be, how its people interacted. I thought to myself OK, relax. Stop regarding everything with suspicion and negativity, later on everything will be explained.It has to be! Soon enough however, I came to the realisation that was not gonna happen. Nothing was explained. Nothing! I felt like someone throw a story at me and said "There. This is all you gonna get." No beginning, no end and no apparent reason for things happening throughout the whole book. Worldbuilding was laughable, to say the least. I don't really give much thought to the intricacies of worldbulding in dystopians. I don't mind how far fetched they are or how impossible. However, I do appreciate some structure especially when it comes to dystopian, where a writer has to invent a new world all of their own. I'm pretty sure Johnson had it all figured out in her head, but unless it's printed on paper I, the reader, have no way of knowing it. 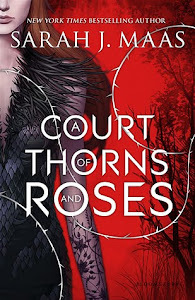 I know that everyone wants to write dystopian nowadays and that it's the next big thing and all that, but not EVERYONE can write it. Possession is a pristine example of that. As for the characters, ah. Major fail there too. 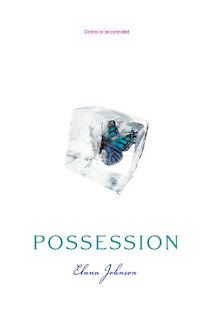 I'm pretty sure Possession holds the record of the quickest insta-love in YA history, at least out of the books I have read. We know right from the start that Violet, the protagonist, is "engaged" to a guy she knows since she was a kid, Zenn, and she loves him very much in a world where even holding hands is forbidden, mind you. In any case, I chose to believe her undying love for Zenn. In page 24 she gets thrown in a cell which she has to share with Jag, another alleged male rebel. In page 40 she knows she's falling in love with him. Just like that. No precedent, no excuse, nothing. Even if I wanted to, I cannot and do not have respect for heroins like Violet. I wanted to give up on this book a million times. Maybe I should have. The ARC is 400 pages long so you must understand that reading it all mentally exhausted me. I don't think I can recommend this book to anyone. Feel free to read it of course, but don't say I didn't warn you. Sounds like a major letdown. I'm not really surprised though. Although this one has gotten its fare share of good reviews it's gotten some negative ones as well. Sorry this one didn't live up to expectations! Finally, somebody who saw it the way I did. I thought I was the only one and that something was wrong with me for not seeing how great it was. I didn't understand why the people in charge put a girl and boy in a small cell when they're not even allowed to be alone together in this world that was created? I was confused from beginning to end. @Safari Poet: Ah great! I thought I was alone in this too! Yeah, author explained that by saying that they wanted to see if Vi would do anything inappropriate with Jag while on the same cell, they were monitoring them. Which was kinda stupid if you ask me, because 20 pages later they were out of there. @Belle: Oh no :( Well, you don't know yet. Maybe you'll like it. I'm so glad I checked out the free excerpt on my Nook before buying this book. I couldn't even get through 20 pages before i realized how horrible it was. Even in just that short span I could see every flaw you pointed out here. As I like to tell my friends "Life is too short to read bad books". I don't even know how you finished it. @Alexa: Really? Phew! I thought I was the only one!